THIS IS MY PERSONAL MOTORCYCLE IT RIDES AND DRIVES LIKE NEW. IT HAS A SECOND SEAT WITH BACKREST, IT IS FULLY CHROMED OUT,HAS CUSTOM HAND PAINTED PINSTRIPES, IT IS LIKE OWNING TWO BIKES WITH ITS CHANGEABLE OPTIONS. 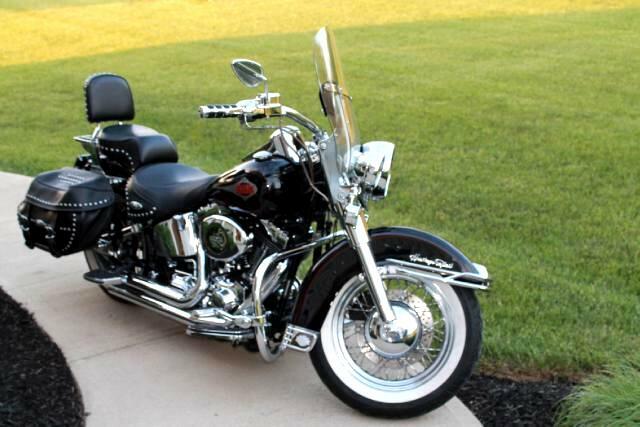 Message: Thought you might be interested in this 2001 Harley-Davidson FLSTC.